Flock, in partnership with Ideia Circular, designed the Circular Economy Path Report 2018. The objective is to disseminate the knowledge developed during the Festival Path. The report summarizes the best moments of the circular economy circuit at the event. It’s an opportunity to understand more about circular economy, and what is going on in the Brazilian scenario. The Festival Path is considered the largest innovation and creativity festival in Brazil. In 2018 the event had an audience of 15.000 people during one weekend. The festival takes place every year in Sao Paulo, and in 2018, Léa Gejer was invited to be the curator of the ‘circular economy‘ theme. For the the first time of the event, circular economy became one of the main topics. So, Léa was able to join national stakeholders from different practice areas of the topic. “The festival has raised the theme of circular economy for different innovation areas in Brazil,” says Léa. “It was an opportunity to bring together a diversity of stakeholders from all the national circular economy scenario”, completes the architect. “Ou work achieved a broad spectrum of the circular economy professionals as we managed to embrace many different areas: civil construction, design, economy, energy, management, technology”. In numbers, 23 experts were together, including architects, academics, engineers, economists, environmentalists, inventors, entrepreneurs, designers and managers. “The importance of the report for those people who could not attend the festival is that they can have an overview of what has been discussed for the circular economy in Brazil” says the curator. 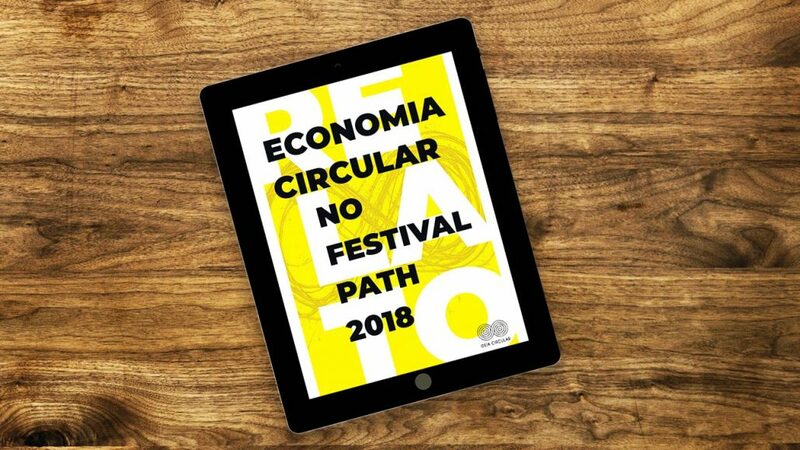 The Circular Economy Path Report 2018 is available on the Ideia Circular website (only in Portuguese). “Next year, we intent to practice in a hands on style what was said in this year festival. I mean, we want to make concrete design and action and go beyond theoretical possibilities for circular economy” says Léa. She will take part in the curatorship of the upcoming Festival Path. To download the document of the Circular Economy Report 2018, it is necessary to enter in the Ideia Circular website. Just make a quick registration and that is it! Click here.